Many corporations, institutions, and individuals fail to use the appropriate degree of care when conducting their operations. A failure to take proper precautions while driving, while operating on a patient, or while building an appliance may result in devastating injuries. 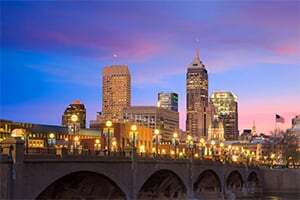 At Moll Law Group, our experienced personal injury lawyers advocate for Indianapolis residents who have been harmed in a wide range of accidents. If you have been injured by a defective product in Indiana, you may be able to recover compensation under the Indiana Products Liability Act. This law covers negligence and strict product liability lawsuits brought by a consumer or user against a manufacturer or seller for harm caused by a product. Manufacturers are people or entities that design, assemble, and fabricate products before selling them to a user or consumer. Cases involving negligence by a health care provider are based on showing a breach of a professional standard of care. Usually, it is necessary to retain an expert to determine whether a particular mistake deviated from the medical community's accepted practices and standards. If you sue for more than $15,000 in damages, you will need to submit the complaint to a medical malpractice review panel before the matter goes to court. There is a short window of time within which to bring your case, so prompt action is essential. Nursing homes in Indiana are required to make sure that their residents receive appropriate medical and personal care. They should tailor their plans to each resident. If they fail to do so, the failure may constitute negligence, which may be the basis of a lawsuit against the nursing home. We can help you pursue compensation if you have a loved one who has been hurt due to nursing home abuse. Premises liability lawsuits may be brought if a visitor is hurt on another party’s property because it has a dangerous condition. For example, if you visit a grocery store and slip and fall on a slippery substance, we may be able to help you recover compensation. Among other things, you will need to establish that the property owner had actual or constructive notice of the dangerous condition but did not repair it or provide warnings. In most cases, car accidents are preventable and could have been avoided by using due care. To establish that another driver was negligent, you will need to prove that more likely than not, the defendant's failure to drive safely caused your injuries. A failure to use reasonable care while driving may consist of drunk driving, fatigued driving, or texting while driving, among other behaviors. When corporations act without reasonable care for the communities and neighborhoods around them, serious harm may result. For example, a factory that dumps dangerous chemical waste without appropriate treatment may contaminate the drinking water, and multiple people may develop cancer or other diseases as a result. If you have been hurt because of exposure to toxins, we can take legal action on your behalf. If you have been harmed due to someone else's negligence or misconduct, you may have grounds to bring a personal injury lawsuit. Serving Indianapolis residents, the personal injury attorneys at Moll Law Group care about ordinary people who have been hurt through no fault of their own. Billions of dollars have been recovered in cases in which we have been involved. Call us at 312-462-1700 or complete our online form to set up a free consultation with a product liability attorney or seek guidance in another personal injury claim.